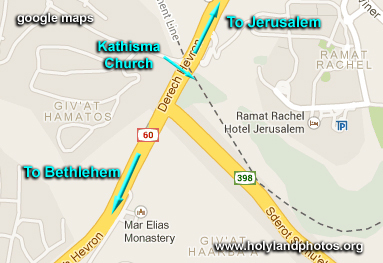 All Christian tour groups will make the bus trip from Jerusalem south to visit the Church of the Nativity in Bethlehem. 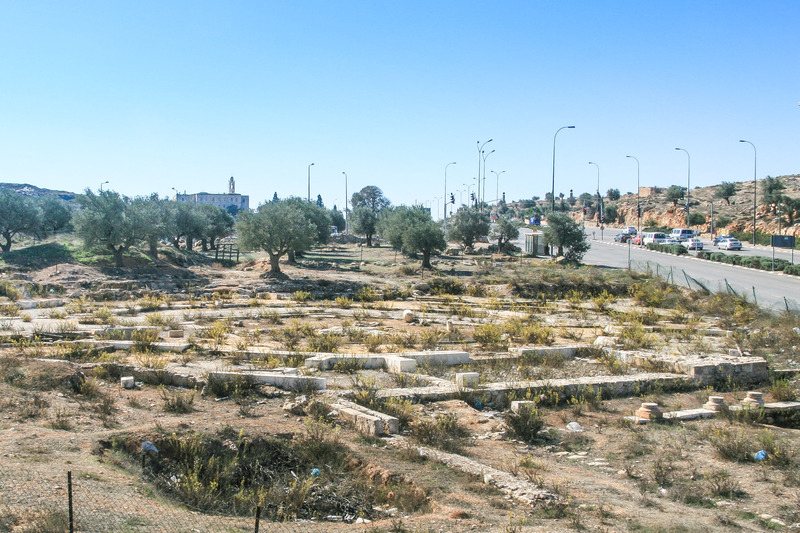 Along the short 5 mile journey there are so many things to see that buses race past the remains of an important octagonal church that is located just along the east side of the busy highway—just inside of pre–1967 Israeli Jerusalem. 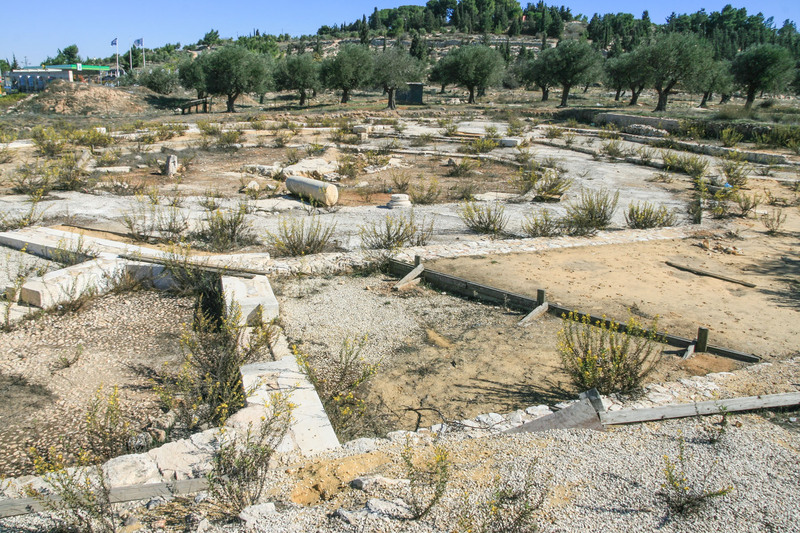 The usually unnoticed excavations are the remains of the “Kathisma Church” that is located about half way between New Testament Jerusalem and Bethlehem. It was built around A.D. 456 to commemorate the spot where, according to the Protoevangelium of James, Mary rested (Kathisma, Greek for “seat” or “chair”) on the way to Bethlehem (text below). It is octagonal in shape with three concentric octagonal walls and a large apse area on the eastern side. This type of church is called a martyrium. Its octagonal design probably facilitated processions in the building. Examples from Israel include churches from Capernaum, built over St. Peter’s house, and one at Caesarea (another is found at Hierapolis in Turkey). Between the two outer octagonal walls are four good-sized chapels—on the northwest, northeast, southeast, and southwest. The floors of the chapels were covered with geometric and floral mosaics (now covered with sand). In the center of the octagon is a large stone (bedrock?) that was probably venerated as the spot where Mary rested. To view more images of the Kathisma Church Click Here. 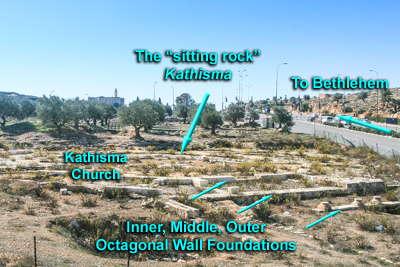 For a convenient description of this church see Hershel Shanks, “Rediscovering the Kathisma—Where Mary Rested.” Biblical Archaeological Review 32, no. 6 (November/December, 2006): 44–51. 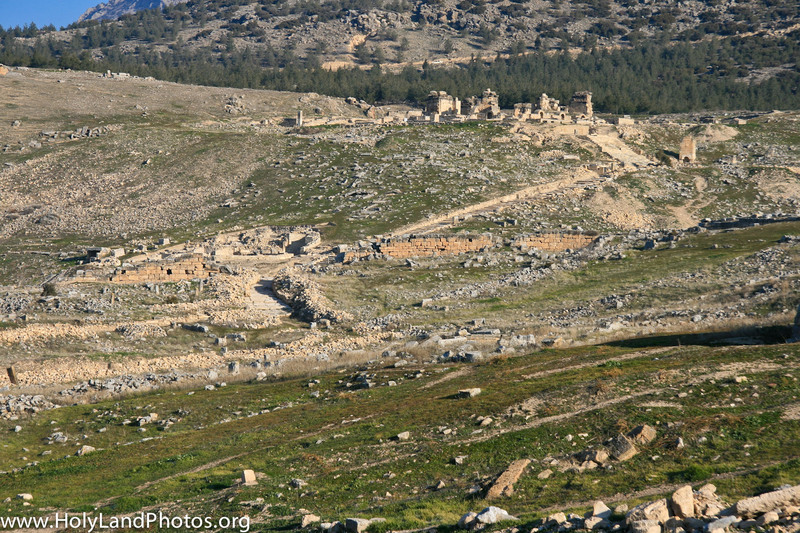 Hierapolis is mentioned only once in the New Testament (Colossians 4:15) where Paul states that Epaphras was working there and in nearby Laodicea. 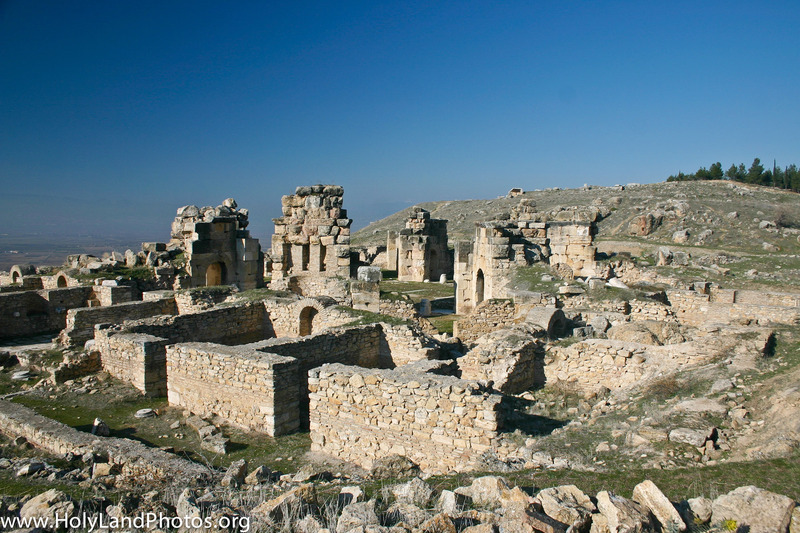 Early Christian tradition states that Philip, along with his daughters, settled at Hierapolis. It is probable that Philip the Apostle (= disciple of Jesus) is the actual person, although a confused tradition suggests that it was Philip the Evangelist (see his activities in the book of Acts). Tradition also states that Philip was martyred and buried here at Hierapolis. On a hill northeast of the city a Martyrium—a memorial that was a focus of pilgrimage—was built in the fifth century AD. In July 2011, the excavator, Francesco D’Andria announced that he had discovered the very Tomb of Philip in the vicinity. Recently I have posted 18 high-resolution images of the Martyrium of Philip. Click Here to view.